From participating in seed libraries or joining seed swap/exchange groups to special offers from seed companies, there are several ways to get free vegetable seeds. With forethought and planning, you can also sometimes find free vegetable seeds from local sources. A seed library operates similarly to a book library. You borrow seeds with the understanding that once your crop is harvested, you'll return either an equal or greater number of seeds than you borrowed. The concept of seed libraries is sometimes incorporated into public book libraries. Public Libraries Online: Learn how to set up and maintain a seed library in a public library. Seed Library Weebly: Get information on established seed libraries along with great ideas for staring one. Most seed companies gift each order with a free packet of seeds as a customer appreciation gesture. This has been a long-time tradition among seed companies. For example, Peeper Joe's gives two free seed packets with every order. Some seed companies and various community organizations hold seed giveaways on ongoing basis or as a special promotion. Peeper Joe's holds a monthly giveaway, in which they select five winners to receive free seed packets. Seeds Now holds a weekly seed giveaway. These promotions can include as many as 15 seed packets, such as a salsa garden packet. Thrifty Homesteader periodically holds promotional seed giveaways (check blog for dates) sponsored by advertisers. 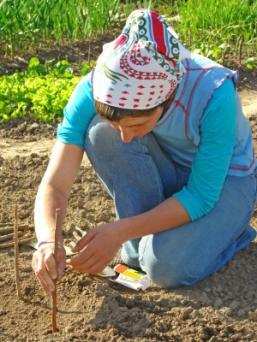 Seed swaps and exchanges are a great way to get free seeds, especially vegetables. There are local and online seed swaps available. Houzz offers an online forum for seed exchange. Reddit provides a seed swap forum for vegetable and other seeds. The National Gardening Association has a seed exchange forum. Seed Savers hosts an online seed exchange. Meet new gardening friends and find seeds locally through garden clubs, community posts, and the local cooperative extension. Garden clubs: Local garden clubs often sponsor seed swaps that allow members to trade seeds with one another. Community posts: Look on social media sites such Facebook and Twitter to find free seeds in your community. These sites are great places to find freebies or to make 'in search of' posts for free seeds or seed exchanges. Search or post using hashtags such as #freeseeds, #seedgiveaway and #seedlibrary. Community bulletin boards: Community bulletin boards can still be found in some community centers or community-based websites. Look for posts offering free seeds or share details of what you're hoping to find. Cooperative extensions: Contact your local cooperative extension office and inquire about their Master Gardener classes, lectures and more. Through attending these types of events, you can meet like-minded gardeners and begin networking to find resources for free seeds in the local area. Giveaway site: The Freecycle Network is a non-profit group for people to give away excess items and find free items (with no strings attached) in the local area. Post wanted ads or scour the site near the end of the spring planting season to find out if anyone has leftover seeds to give away. There are seed programs that work with individuals, groups and organizations in an effort to end world hunger by providing free seeds. Ed Hume Seeds offers free vegetable seeds each year to the first 250 people who apply for their Plant a Row (PAR) program. The company sends you a packet of free seeds (one per person). In return, you promise to plant a row using the seeds and donate the harvest from that one row to a local food pantry or soup kitchen. Seeds Programs International (SPI): SPI offers free seeds to organizations. While the seeds are free, there is a service fee of $.12 to $.40 per packet plus shipping fees. While most hybrid species will not produce viable seeds, many gardeners invest in open-pollinated seeds when they buy packets of seeds. When you buy open pollinated seeds, you are buying seeds that have not been tampered with genetically. As a result, they will produce seeds that will actually germinate the following year. If you learn how to save seeds from different plants, you will be able to provide yourself with no-cost seeds year after year. Don't accept unlabeled, unmarked seeds, since you won't know what kind of plant you're growing if you plant them. Be careful with seeds that gardeners collect themselves since they may be cross-pollinated with hybrid seeds. Cross-pollinated hybrids don't look and taste the same as parent plant varieties. Take time to learn about seed germination to learn how to care for seedlings. Squash and cucumber seeds are often the most plentiful seed swap offerings since seed packets typically contain more than the average gardener has room to grow. There are numerous sources for free vegetable seeds. Investing time in looking for them can help you save money. 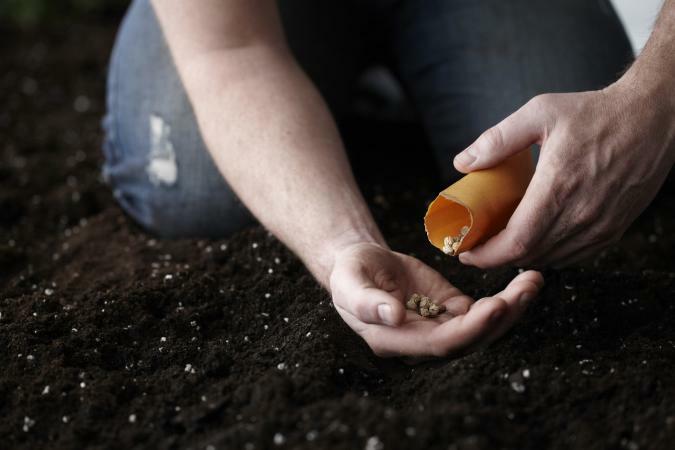 You can return the favor by saving seeds from your own harvest and offer free seeds to other growers.